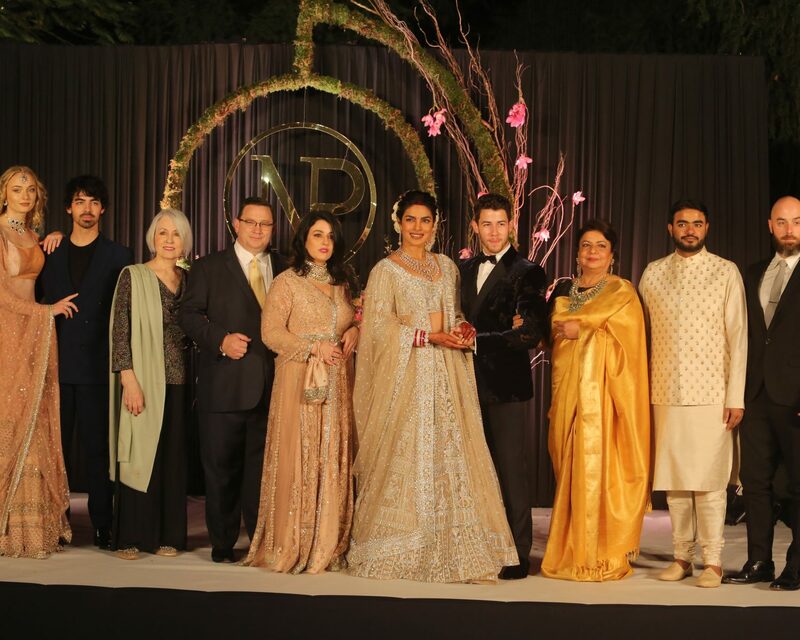 When Priyanka Chopra and Nick Jonas married in an extravagant wedding this weekend, they were doing more than celebrating their love; they were also bringing together their two families and traditions. On Thursday, December 6, both Joe Jonas and Kevin Jonas shared details after bearing witness to their matrimony. Super Married! I Love You Both! Welcome to the Family Pri! Congratulations! My face hurts from all the smiling this week. Chopra, 36, and Nick, 26, celebrated their marriage with both a traditional Christian wedding ceremony and a traditional Hindu ceremony, along with plenty of pre-wedding festivities in between. One such fete was the Sangeet, a high-energy song and dance competition that took place in the lead-up to the epic wedding weekend. During the Sangeet, both the Jonas clan and Chopra’s family performed for one another in a fun-spirited “competition.” Despite the Jonas’s obvious talent in both music and dance, however, Joe conceded that Chopra’s family won, hands down. Joe also opened up about having to deliver the best man speech at the couple’s nuptials, and how nervous he got speaking to his brother and his new sister-in-law. As for Joe himself, who is engaged to Game of Thrones actress Sophie Turner, being a part of Nick’s wedding did spark some ideas, but the weekend, he emphasized, was totally about them and not his own pending nuptials. Congrats you guys! Wishing you the most love and happiness! Be the first to comment on "Joe Jonas Says Nick Jonas Married “His Dream Girl” Priyanka Chopra"